Most of my outfits, especially those “every day” ones are very simple and today was quite typical. I started off with a white tee and jeans and I added colour with my yellow cardigan and pattern, (and a much needed extra layer), with the floral daisy scarf in this beautiful shade of mint green. I find it hard to resist broderie anglaise and such detail elevates a simple tee. And even though it was quite chilly, the ice-cream shades made me feel a little more summery. Perfect for a stroll into town to meet my friend Annemarie for breakfast and coffee. 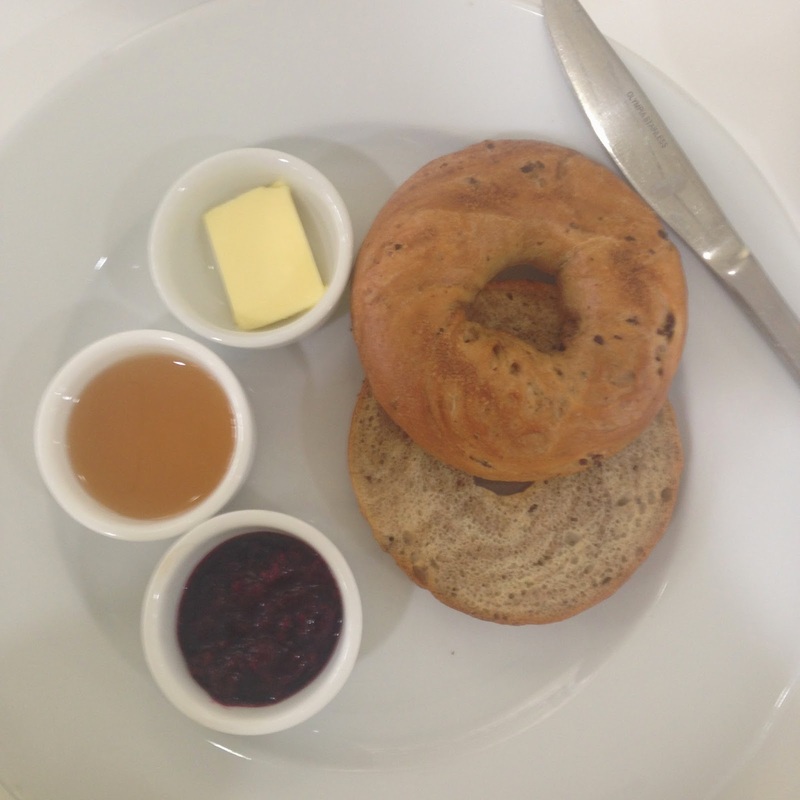 My cinammon bagel with honey and jam was perfect.